The output from program Mandelbrot is very different using wingraph because numbers for colours refer to their RGB values. 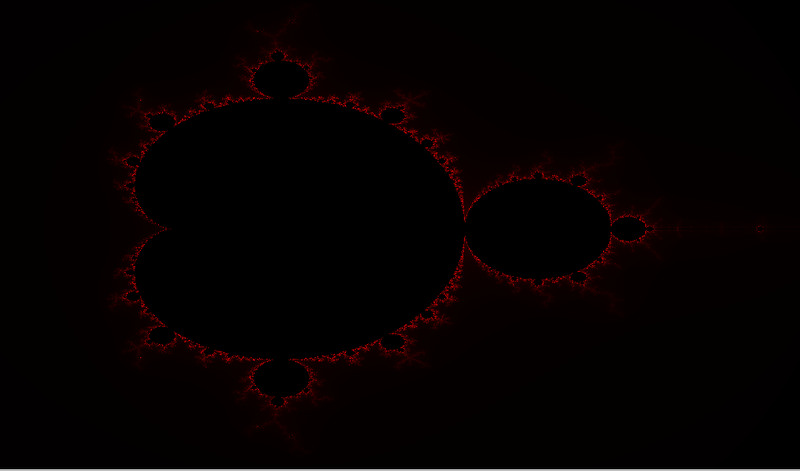 Program Mandelbrot2 uses an array of RGB values copied from wingraph to provide a more colourful image. We have adapted the code for use in applets using Oxygene for Java. //Delete the ball, which was put there only to be copied.